We are recommended by many venues though out the state of NJ for our professionalism, client satisfaction, and competitive pricing! The Meyer Photo + Video Group is a registered and insured business that provides high-quality and affordable wedding photography in NJ and videography solely within the state. The main reason this business was started? We understood that brides in our area sometimes struggle to afford exceptional photography and videography for their dream wedding. There are some companies (talented, of course) that charge up to $15,000 for their services. Unfortunately, for some couples, especially ones funding their own wedding celebrations, this just isn’t realistic. On the other hand, some other companies may charge cheaper rates, but for less-than-desirable work and poor reputation. We wanted to create a middle ground and help couples in New Jersey plan a wedding that stays in your budget and as stress-free as possible. Owner, Ashley Meyer, is available on a first-come, first serve basis. Her background includes a Bachelor’s Degree from Ramapo College, School of Contemporary Arts in Communications with a concentration in Digital Filmmaking and Marketing. For over a decade she worked for various businesses and marketing agencies in New York City and New Jersey working on campaigns for businesses. Now, her full-time focus is the continued success of The Meyer Photo + Video Group and satisfied couples. We also have a very talented team of NJ wedding photographers and NJ wedding videographers throughout New Jersey eager and available to attend weddings. You’ll always have back-up coverage for your peace of mind. Reviews matter and we have a tremendous reputation for satisfaction. We’ve won awards such as WeddingWire’s Couples’ Choice Award and The Knot’s pick for Best of Weddings. Our average online review is five stars, and we’ve even done some celebrity work, too! You may have seen us featured in publications such as LetsBeeTogether.com and NewJerseyBride.com. Many venues recommend us in the area to newly engaged couples or couples going through the wedding planning process, such as Blue Heron Pines. Our #1 goal is to provide you with every striking memory of your special day. Our professional NJ wedding photographers and NJ wedding videographers are equipped in order to help you remember every moment of your day, providing images which capture every smile, preserve every dance move, and spark every bit of joy. We pride ourselves on our personalized service to strive for every detail documented. We love to work locally because we believe paying attention to detail is important (plus, we don’t charge a traveling fee). With that being said, we only accept a certain number of weddings per year so that each bride receives all the personal attention she deserves during planning. Each client is unique and beautiful, and we want you to know that. Not only do we care about our beautiful couples, but we care immensely about giving back to the community. Last year, we donated a portion of sales to a list of local charities that you can find listed below. So we thank you, our lovely clients, for giving us the opportunity to make your special day unforgettable, as well as for giving us the chance to help those in need. We can make your wedding portraits as formal or informal as you like, or even a combination of the two. For a more personalized experience, we can discuss further ideas at your free consultation. There are many packages available that are up to 54% less than average photography and videography package prices in New Jersey. We want to ensure you are able to pick the perfect option for your celebration. 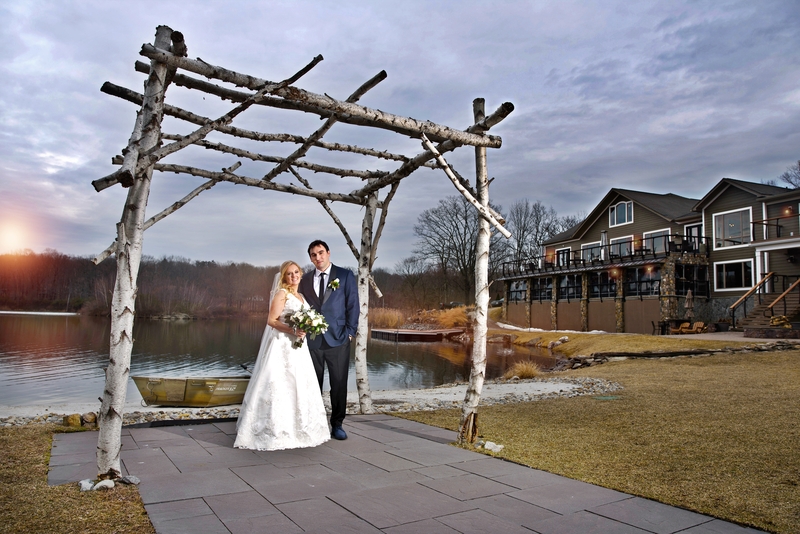 Ask about our NJ Wedding Photography Packages and NJ Wedding Videography Packages.